What could that possibly mean? Oh — I know! 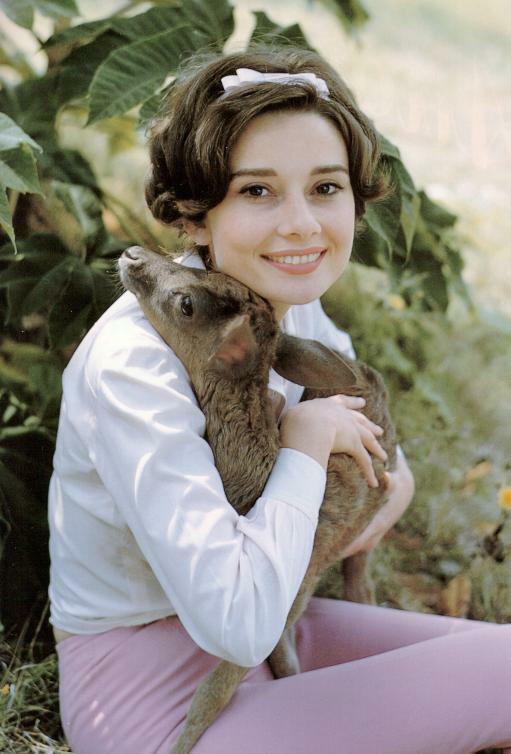 We’re fawning over Audrey Hepburn’s chic fashion accessory in this pic!